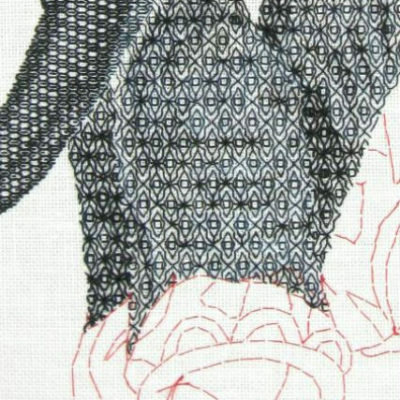 Blackwork is one of the oldest embroidery stitches in the world, and also one of the most beautiful. 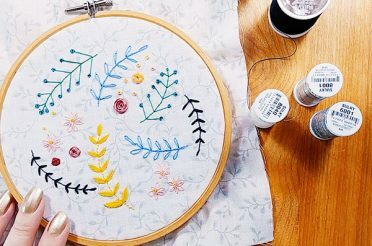 In this video tutorial, you’ll learn a few basic blackwork patterns and see how easy it can be! 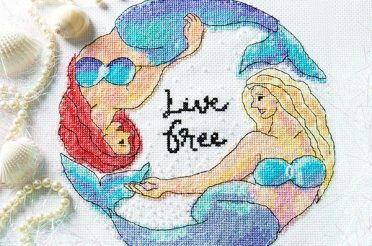 There’s even a free pattern to go along with this tutorial! 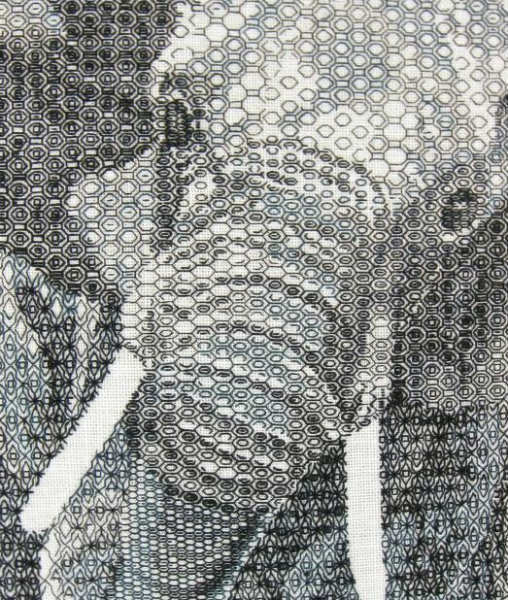 The Moors from North Africa are said to have been the first to use the stitching technique now known as blackwork. Around the 8th century, they travelled to Spain and took the technique with them. 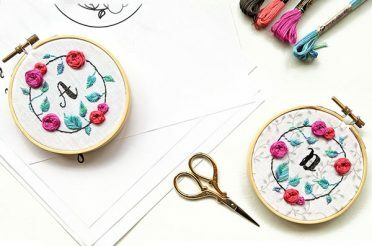 Blackwork consists of a combination of back stitch and the double running stitch (also called the Holbein stitch), and also can incorporate other embroidery stitches like stem stitch and seed stitch. It used black to hide the dirt, and was sometimes called “poor man’s lace” as it was much less expensive and time consuming to make than handmade lace. 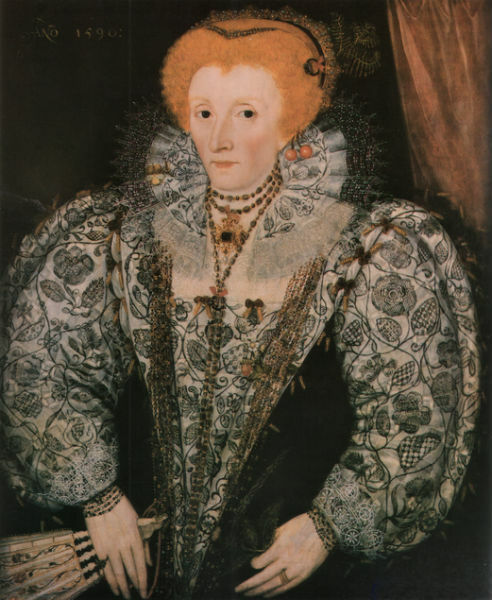 It was also more than just decorative — it would reinforce cuffs and hems, helping the clothing to last longer. It is thought that Katharine of Aragon brought blackwork from Spain to England when she moved there to marry King Henry VIII in 1509. It became popular in England and was known as Spanish work. 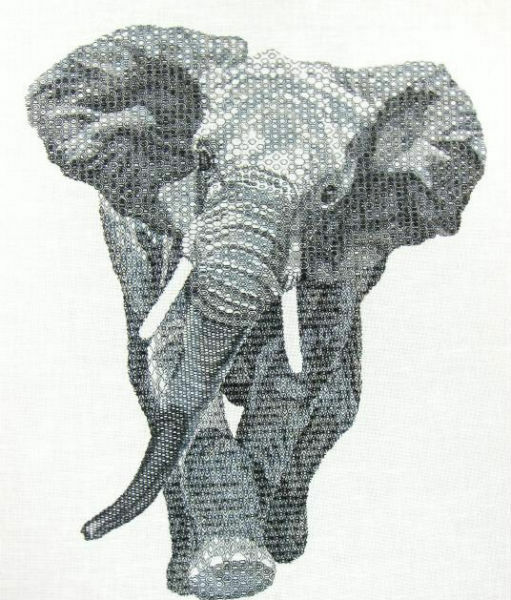 When they divorced several decades later, the embroidery technique became known as blackwork. 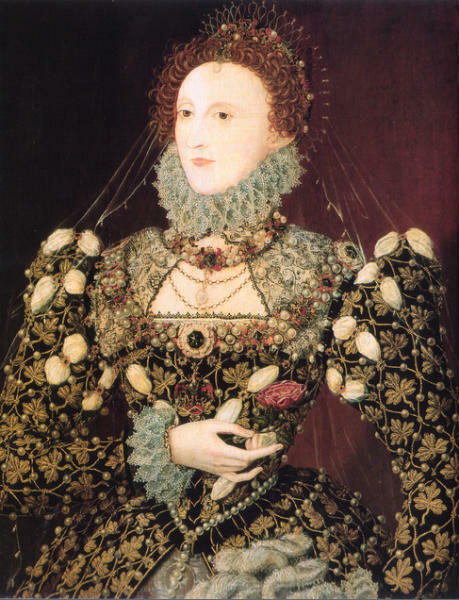 Below you can see several images of Queen Elizabeth I wearing blackwork-encrusted clothing. In modern times, blackwork is continuing to become more popular with the upsurgence in interest in hand embroidery. 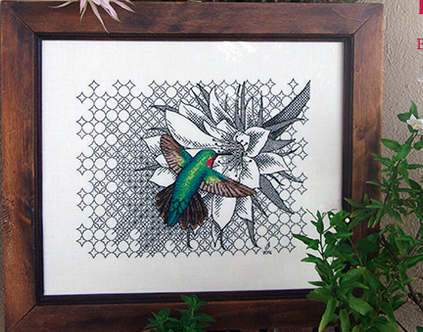 Some designers are combining blackwork with cross stitch (such as the lovely hummingbird design by Valentina Sardu for Ajisai Press) for a beautiful effect. 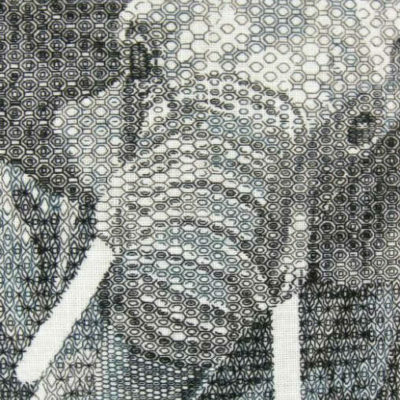 Others, such as the Canadian designer Tanja Berlin, are taking blackwork to great new heights with designs like her blackwork elephant (some photos from her site seen below). 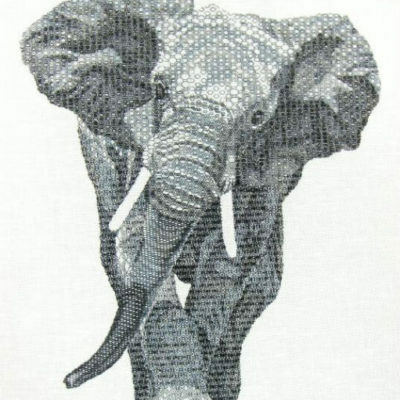 Below is the tutorial video where I demonstrate some very simple blackwork patterns. 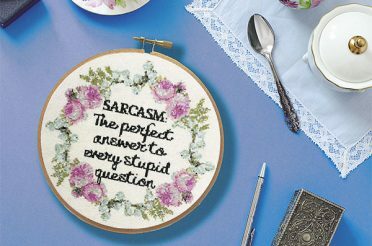 There are literally hundreds and hundreds of patterns, and there are no limits as to what you can design. Patterns range from very closely packed dense patterns that create darker areas, to more open airy ones that can create “highlights” in a design. 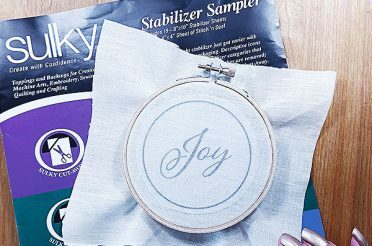 How dark a particular section appears can also be manipulated by using different numbers of strands of floss, or even using heavier floss like pearl cotton or coton à broder. In the tutorial I’m using 2 strands of DMC 310 (black), but in the finished pattern I also did a variation using 2 strands of gold and silver DMC Light Effects floss. If you have any questions or comments, please let me know below! 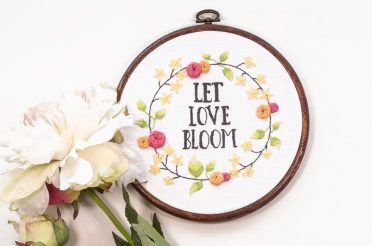 And if you’d like to get access to all the free Peacock & Fig patterns including the Blackwork Heart pattern, all you have to do is join the free Peacock Lounge! 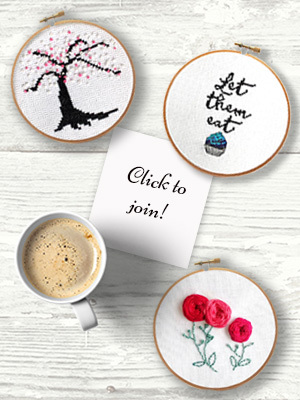 🙂 Click the button below to join! 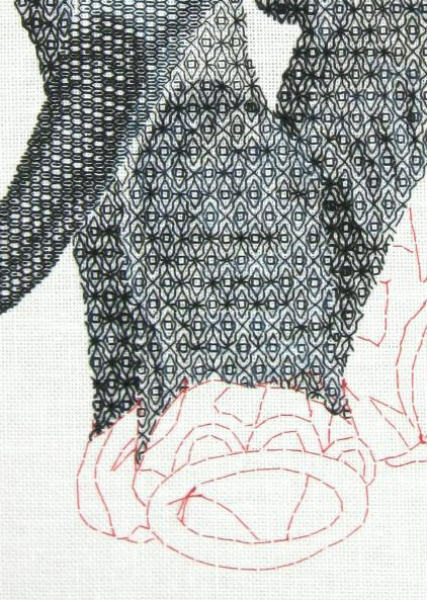 Blackwork is one of the oldest embroidery stitches in the world, and also one of the most beautiful. 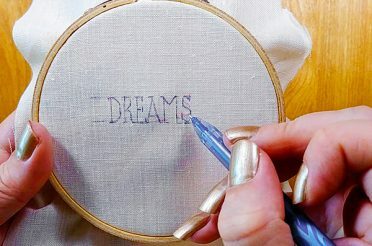 In this video tutorial, you'll learn a few basic stitches. I am an artist, veteran, analyst, and mommy to the sweetest dog ever. I am constantly thinking of ways to use my creativity in everything I touch despite my physical limitations, and I love encouraging others to do the same. 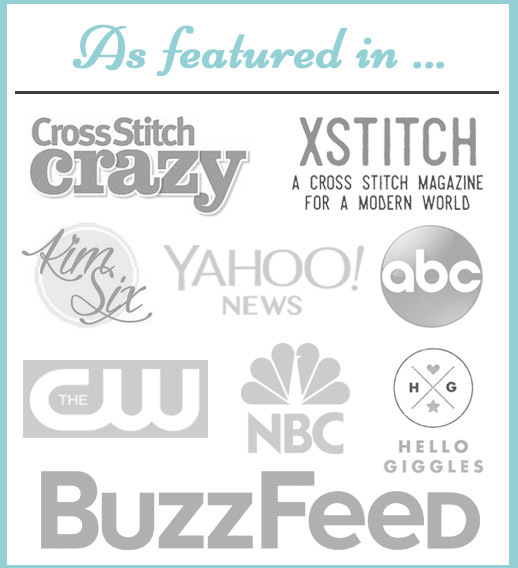 Hi Dana…thank you for sharing this demo on blackwork. It is much appreciated. Blessings. Thanks for the intro. 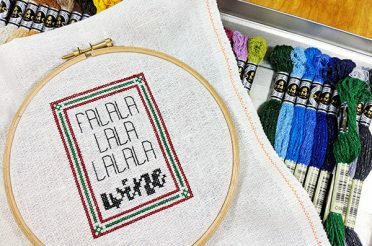 Its not hardanger but I like the blackwork idea. Might try it.